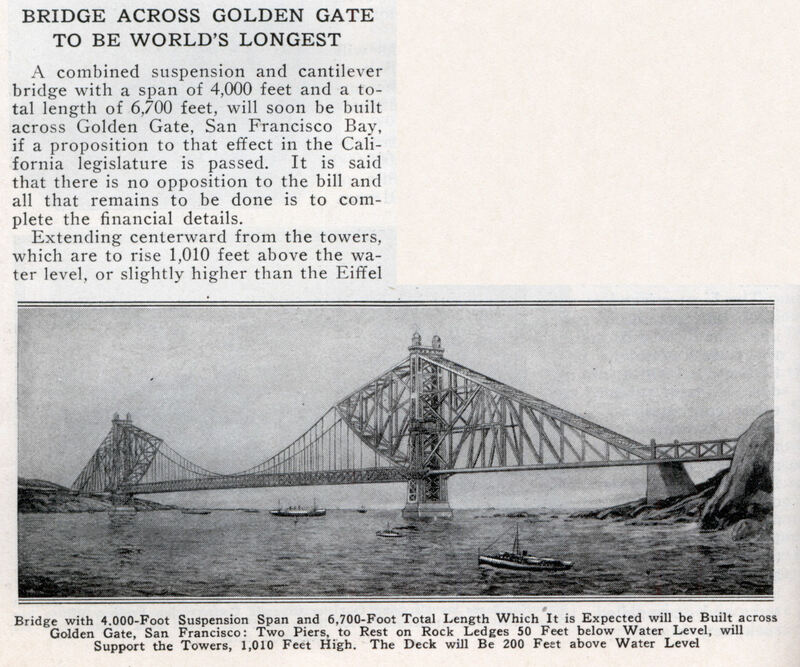 A combined suspension and cantilever bridge with a span of 4,000 feet and a total length of 6,700 feet, will soon be built across Golden Gate, San Francisco Bay, if a proposition to that effect in the California legislature is passed. It is said that there is no opposition to the bill and all that remains to be done is to complete the financial details. I’ve walked and ridden my bicycle across this beautiful span dozens of times over the last 31 years and it still takes my breath away.